To these ears, CYHSY's self-titled first album remains one of the defining records of recent memory, so I suppose this followup was destined to disappoint. My initial reaction is something less than blown away, but there's enough here that I suspect it will grow on me considerably. Midlake strikes me as rather dull... but I keep returning to CYHSY. Along with "Satan Said Dance"--which might be the strongest track on the record--"Emily Jean Stock" are "Five Easy Pieces" are especially great tunes. My eMusic downloads just renewed, so I grabbed this. Listening now, and after four songs the first impression is: Sounds terrific. Thanks for the heads-up, Michael! No problem -- I was tipped off to Vandervelde while browsing another forum (I don't remember where, Metacritic maybe). The album hasn't received much buzz, but it's one of the very best things I've heard so far this year. 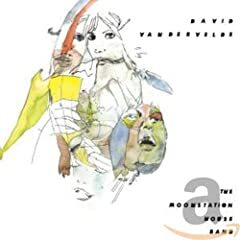 I linked to Vandervelde's Daytrotter Session in the Music of 2007 thread, but I'll link again: Go download those free MP3s! That Daytrotter site is pretty awesome--I also grabbed sessions by Vietnam, Whispertown 2000, Of Montreal, and the Elected. Damn, that Of Montreal is catchy. Hissing Fauna, Are You the Destroyer? 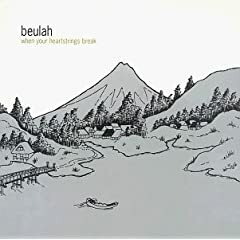 has finally grown on me (after two full listens and the songs popping up in rotation on iTunes for the past few weeks). Why didn't I dig this stuff right off the bat? My three favorite songs from the album right now: "Suffer for Fashion," "Heimdalsgate Like a Promethean Curse," and "She's a Rejector." Catchy indeed. I need to download the Daytrotter Session MP3s.